Just Dance Kids | Mrs. Anton's Class! We have been having a great time this year dancing to a variety of dance videos. One of our favourites is this one from Go Noodle! The Go Noodle website has quite a few good brain break videos! We can’t keep our bodies still when this music is on! Sometimes our buddy class come by and joins us! Here we are dancing to the YMCA! You can find a few more on our WIKI site! Kinderchat created a Symbaloo of the best Just Dance Kids videos. They are easy to find in this format. Take a look! Just scroll down the page on our WIKI until you reach the Dance Videos and click on the icons. It will take you to the Kinderchat Symbaloo site. Try the videos! I bet you won’t be able to keep still! I love to surf to find new ideas on the net. I found a great site recently at one of my favourite teacher sites. He is a kindergarten teacher named MattbGomez and he has a great site. 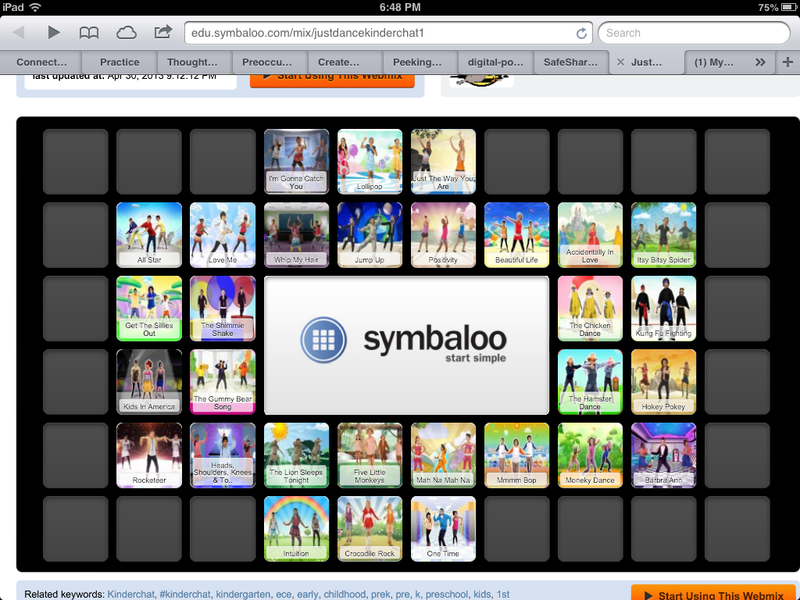 He created these Symbaloo sites of his favourite dance video using a safeshare version. I can go to his Symbaloo site and just click on the dance video we want to do and we have a great exercise break that everyone enjoys! I am going to have to figure out how to use Symbaloo! Barbara Ann is one of our favourites! I like to use this site because the videos have been filtered through safeshare. I love the JustDance Kids videos! I have a lot of favourites!